Wondering what fruit is in season right now for your best baking? I’ve made this handy, dandy table so we can always know! Its arranged alphabetically and by season rather than months so it’s useful no matter where on Earth you are located. This table is also clickable, sortable, and searchable! (Pretty sure those are all words.) The point is that if you only want to see fall, it’s completely doable with this table! By the way, vegetables and other produce used in baking are also included in this chart. 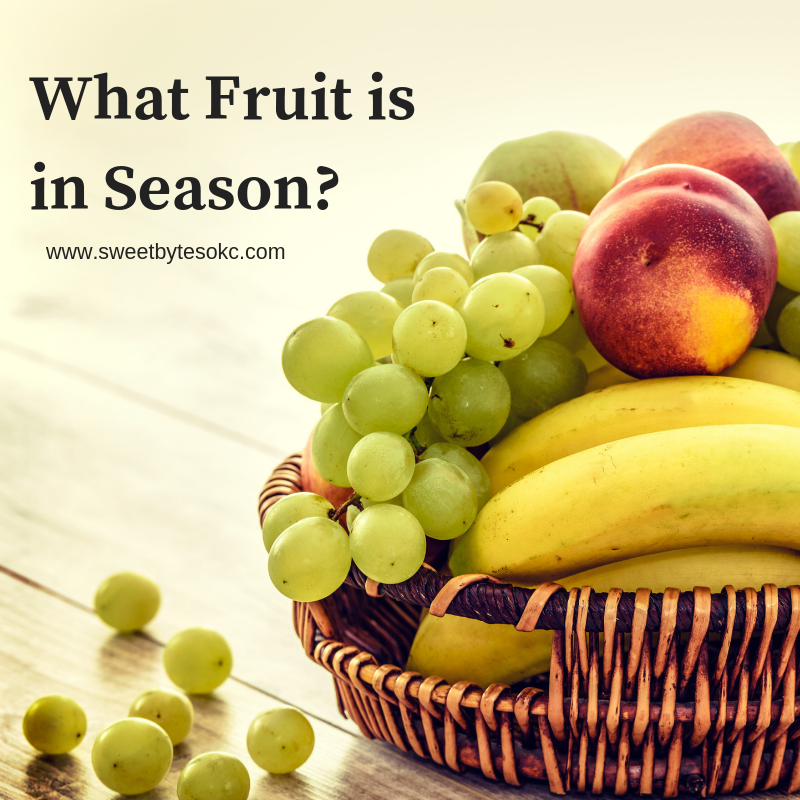 Why does it matter what fruit is in season? Fresh, locally grown produce is always the best choice for flavor, your local economy, and the environment. It’s also cheaper to buy produce during its peak season no matter where you are on the planet. For baking, it’s fun to rotate your menu and recipe challenges according to the calendar. Pumpkin spice in the fall, fresh berries in the spring, melon in the summer? Yes and yum! Please, if you would like to see something added to the list, let me know!